Bluebell's "Malt Shoppe" Ice Cream goes through the "automatic filling" part of the production process. Blue Bell has been unable to pin down all source of the listeria contamination, particularly in its Brenham plant. It has however implemented programs to control for the bacteria, Blue Bell told federal officials. A listeria outbreak in 2013 linked to its ice cream forced Blue Bell Creameries LP to issue its first recall in 108 years of business. The company has submitted required “root cause reports” to the FDA in an attempt to explain how listeria entered its plants and, ultimately, its ice cream. “We identified and implemented specific corrective actions to address the likely source, and adopted comprehensive facility-wide programs to enhance our overall ability to confront any possible sources of contamination,” company spokesman Joe Robertson said today. It all went wrong in with a single random sample. Officials from the South Carolina Department of Health and Environmental Control pulled a box of Great Divide Bars and Chocolate Chip Country Cookie Sandwiches. The ice cream products tested positive for listeria. South Carolina officials randomly tested these Blue Bell products in February 2015. The ice cream tested positive for listeria, and set off a chain reaction culminating in an all-product recall that April. South Carolina officials worked with the Texas State Department of Health Services and quickly determined the contaminated bars came from the company’s main Brenham facility. Five hospital patients in Kansas – all admitted for reasons not related to listeria – were infected listeria. Officials discovered the individuals contracted the infection after eating Blue Bell ice cream they were fed at the hospital. That ice cream originated from Blue Bell’s Broken Arrow facility. In March, Blue Bell issued its first recall in its 108-year history. A series of small recalls ensued as the company engaged in efforts to get listeria out of the production line. The efforts failed repeatedly, and Blue Bell president and CEO Paul Kruse pulled all Blue Bell products off the shelves on April 20th. At the time of the total recall, it was known that 10 people in Kansas, Texas, Oklahoma and Arizona contracted listeria from Blue Bell products, and three of them had died. Further genetic analysis of the samples revealed that Blue Bell ice cream had likely been causing listeria infections in ice cream-eaters since 2010. Blue Bell facilities had been testing positive for listeria since 2013, the Food and Drug Administration (FDA) later discovered. Blue Bell did have an “environmental testing plan,” which involved private laboratory examination of swabs from the company’s factories to ensure the buildings were pathogen-free. According to the FDA, areas in the factory that didn’t have any direct contact with ice cream were the only areas that Blue Bell sampled. It remains unknown why the company never tested surfaces or equipment that touched their products, or why they didn’t do so after listeria started showing up in test results. 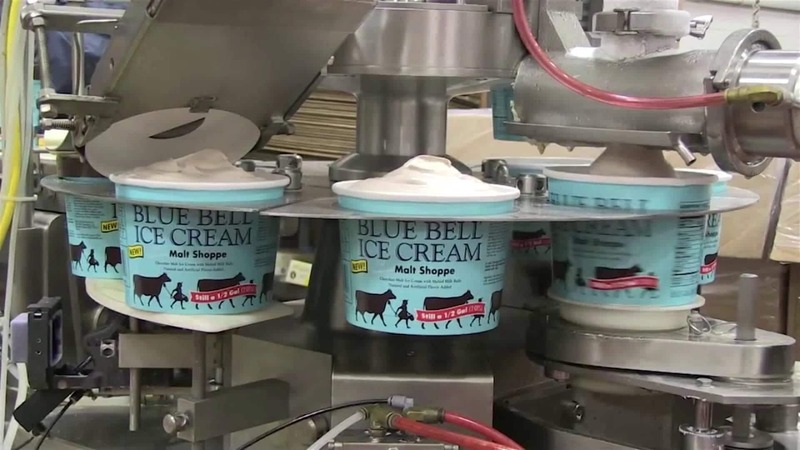 Listeria contamination affected all three of Blue Bell’s main plants. (Listeria traces were found at the Sylacauga plant, but were never tied directly to the ice cream). The fallout from the listeria contamination and associated outbreak seriously called into question whether or not the now 109-year old company could survive. The company legitimately did come close to collapse. Blue Bell’s economic woes led to the layoff or furlough of the majority of its workforce and forced the company to accept an emergency investment from Texas billionaire Sid Bass. Officials from the ice cream company finally produced reports intended to explain two things: first, how listeria entered the Brenham and Broken Arrow Plants, and second, how the pathogens found their way into the company’s ice cream. The reports show that the company went over its own facilities and, in addition, brought in third-party experts to determine how listeria was able to enter the two facilities. The investigation occurred simultaneously with the required “remediation efforts” required by state and federal health authorities. As the investigation into the Brenham facility contamination progressed, according the the report it became evident that the company “would not be able to identify a single source to our entire Brenham facility.” The investigators took a number of actions in an effort to identify the source, including testing potential sources along the production line (including equipment and specific pieces of equipment and machines). Some surfaces tested yielded presumptive positive tests, while others tested negative for the bacteria and were found to be clean. Following a series of small failed recalls to stem the company’s listeria problems, Blue Bell recalled all of its products on April 20, 2015. As for the contaminated equipment, some of it was disassembled and cleaned thoroughly; other machines were decommissioned and removed from the facility entirely. The actual source, however, remained elusive according to the report: “Although we took remedial action on individual equipment, it became evident that we would not be able to identify a single source to our entire Brenham facility,” the report stated, following up by stating this fact was the reason the facility had been scoured multiple times. taught employees how to handle equipment and product appropriately. The company also now periodically performs certain actions regarding select pieces of equipment, including administering some form of treatment “validated to destroy listeria.” The specifics regarding these actions and treatments are unknown, however, as Blue Bell had them redacted from the version of the report made available to the public. The company, wanting it known that it “recogniz[es] the potential for Listeria to become established in a wide range of environments,” they took a number of actions prior to restarting production; however, we do not know with any degree of specificity what those actions consisted of, as the majority were redacted from the report. The company does go on to conclude that it “conducted extensive environmental testing post-treatment” to verify the effectiveness of the unknown measures.